Atlas Genius are back with a new album titled, Inanimate Objects that was released late August 2015. The Australian band took a break after touring extensively after their song “Trojans” helped catapult the band’s profile. This time around, the band led by brothers Keith and Michael Jeffery created material that fits in perfectly with their debut, When It Was Now and showcases the band’s progression. 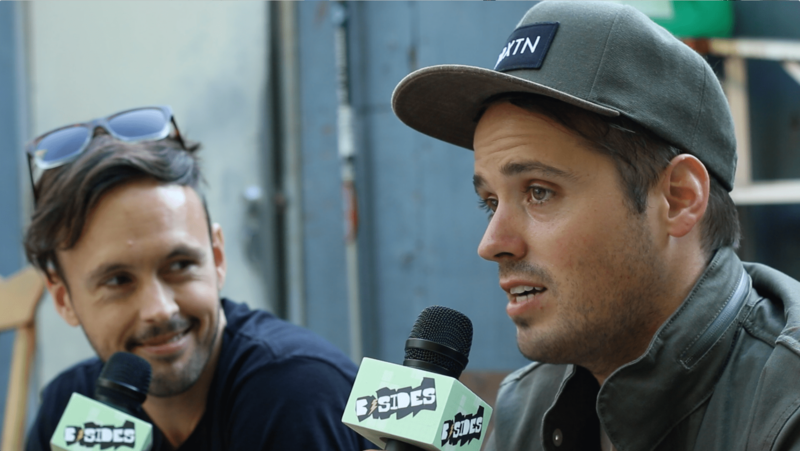 While at their San Francisco tour stop, Keith and Michael Jeffery spoke with B-Sides host, Pete Mar, about the new material, Keith’s encounter with a shark while surfing and more.